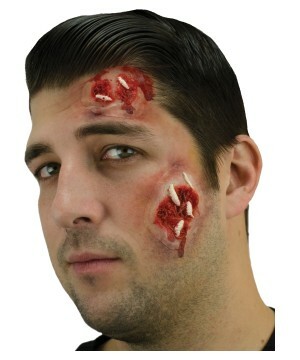 If you have the skills to recreate yourself with Costume Make-up, you are in a Make-up wonderland. 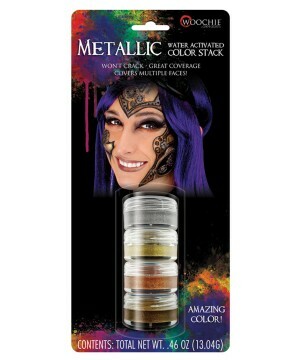 Sometimes good make up can be twice as impressive as a good mask. 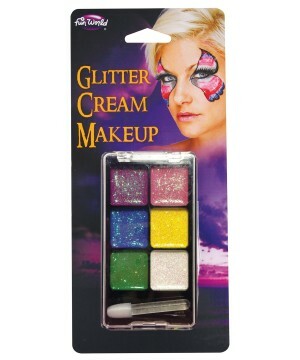 From color tones and glittery sparkle, make up can make you unrecognizable. Browse and enjoy! 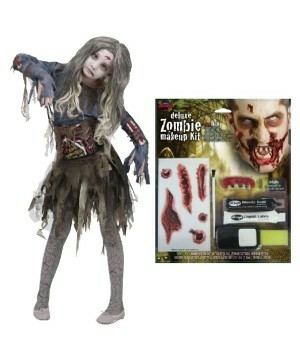 You already have the perfect costume, shoes, and accessories for your Halloween party. 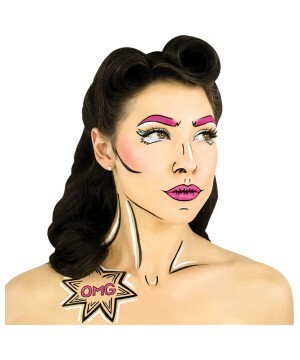 The very last thing you need is simple but very necessary: the perfect makeup. 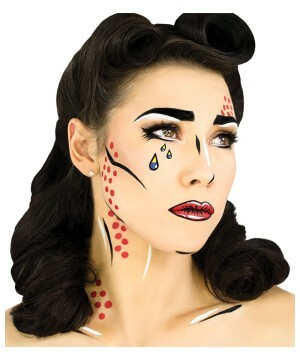 A costume without makeup is just a costume; however, add attractive, authentic-looking makeup, and voilá, you actually become the character you are portraying. 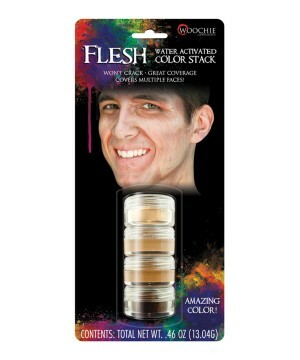 It’s time to stock up on professional, Hollywood-quality Costume Makeup and see yourself completely transformed into someone different. 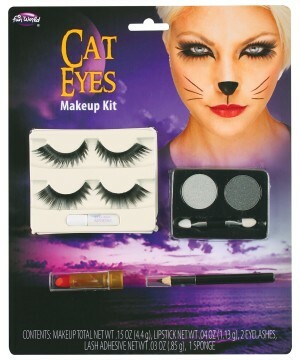 We even carry How-to DVD Makeup Kits. 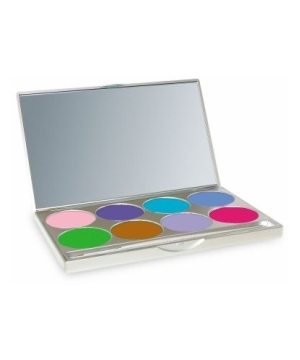 Like a painter with a plain, empty canvas gets excited about creating when she/he chooses from the infinity of paint colors, so can you start using your imagination when exposed to all of our selections of hues and effects of face and body paints/makeup. 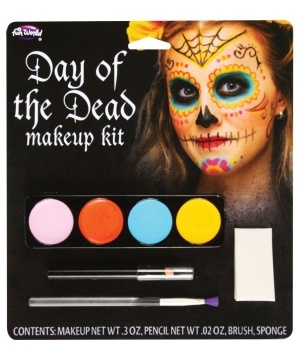 It only takes getting rid of the fear of starting to try makeup this Halloween. Don’t be intimidated. Once you try applying makeup to yourself and others, you’ll only get better each year. 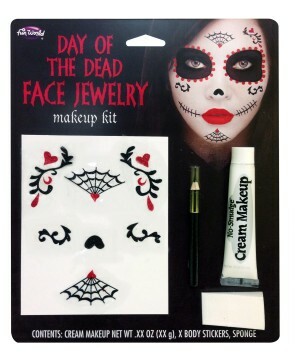 There are two major costume makeup categories: Beautiful, glamorous, shimmering face/body makeup (used in Cleopatra and Princess) and the opposing bruised/bloody, gory and scary face/body makeup (used in Zombie and Vampire). 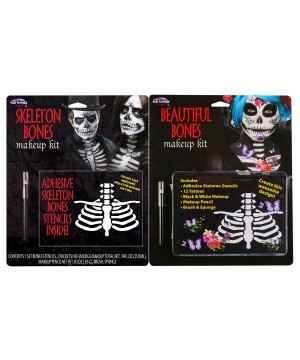 Make yourself look model-stunning or turn-the-other-way spooky. Either way, you’ll look great for the cameras. 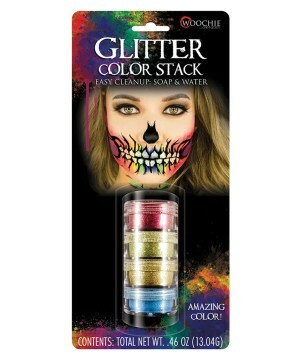 You can choose from Animal Makeup, Eyeshadow/ Eyelashes Galore, Illusion Tattoos, Makeup Trays, Multicolor Stacks, Nail Polishes, Pearlescent Crayons, Powdered Glitters and Tattoo Covers/Hiders. 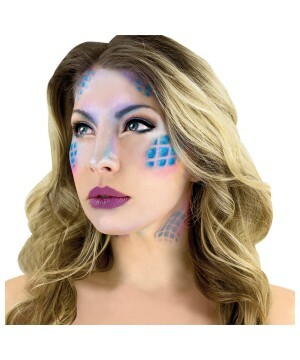 This Halloween explore the magical world of Costume Makeup and take your costumes to the next level of impressive, realistic and contest-winning! 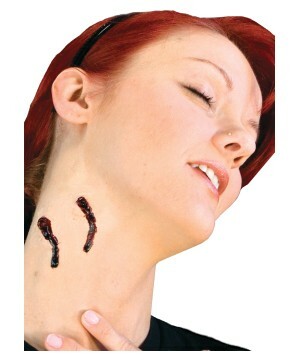 Give your costume the special effects you want. 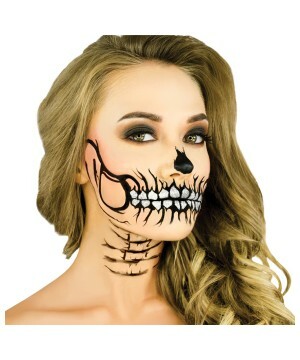 Only Costume Makeup can give the unique finishing touches you want to add to your Halloween Costume!